Vindale Research Review: Is It Legitimate? Vindale Research is one of the longest withstanding survey companies on the internet today. You can earn a small amount of money by doing online paid surveys and other small tasks. But is Vindale Research legit, or just a scam? Overall Verdict: Legit – I’ve been getting a lot of surveys emailed me from this company and despite some complaints, Vindale has managed to maintain a 4 star rating on Trustpilot. The trouble with most survey sites is, the pay tends to be very low – in comparison to the time you put in. 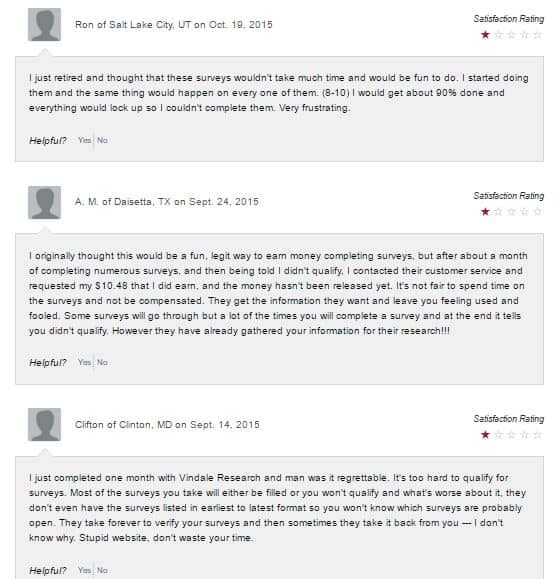 Most survey sites usually have the same sort of complaints against them. But I also understand why people seek them out and enjoy doing them. People are often looking for an easy way to make money online, something they can do while watching the TV or just relaxing at home. Something they don’t really have to think much about! While there are definitely better ways you can make money online I have wanted to check out some of these survey sites and figure out which ones are the most worth joining out of the bunch. How can you make money on Vindale Research? There are various ways you can make money on this platform. Referring others to sign up. Posting photos with your check, ($5 for a pic). Vindale Research rewards people straight up with cash – not points or coupons, which is common on other sites. However you do need to reach $50 before you can take out any money at all and this is a really high threshold. A majority of people will just not stick around long enough to make $50, which means Vindale Research will get off paying a majority of people that ever sign up! There are hundreds of new surveys added daily however, so if you love filling out surveys, you are in luck! In order to get the best chance of qualifying for a survey however, ensure that your profile is properly completed and filled out. The more info is known in advance, the better chance you don’t get chucked out of a survey, (or so they say!). One of the biggest complaints, (and certainly one I’ve experience on many occasions now on survey sites) is that you’re told you don’t qualify, or that the survey has reached the maximum number of participants, when you’ve already answered a bunch of questions! So, you answer a tonne of questions, don’t qualify and get paid nothing. The worst thing is when this occurs what seemingly moments before you’re due to finish a survey. Some say they have done a survey for almost an hour when this happens. It’s just not right that you’re rewarded zero for your time when you’ve been answering questions that long. Surely the qualifying period has long gone at that point. HOWEVER, this is simply a problem that plagues most survey websites. Qualifying can be difficult… So, if you want to participate in them, that’s just an issue you need to expect. (I’ve only found two sites that don’t seem to disqualify – Prolific & YouGov). Secondly, complaints surround payment. Some not being able to recover any payment at all. Again, this seems a common complaint with survey sites in general. It’s also difficult to judge though – as so many people DO receive payment in good time and have no problems at all. What makes these certain people different to the point that they may be totally ignored by customer service? One possibility is that some of these people may have actually been disqualified for some reason or other. You do need to be careful to answer questions honestly, as they can catch you out if you’re just giving random answers. What can’t be ignored is the sheer number of complaints this company has, they really need to address these issues! People have also complained that they have not been credited for referrals – even when their friends and family have signed up via their link. There could be a number of reasons for this however, certain things on your computer can interfere with tracking. Also, your referral needs to complete a survey worth at least $1 or more, before you are credited. One main issue is, you could wait for a long time if you do have a problem and have to get a support ticket – possibly you could wait five days for a response. You may wonder if it’s really worth the effort, considering the very small amount you make. You could still argue that doing surveys is better than just sitting watching TV, or just sitting on the train waiting to get to work… you could do both things at once. But you could also be spending that time learning and aiming to earn a proper income online – a lot of people don’t realise that can be done. For example; when I have the TV on at home in the evening, I spend that time working on my website, or writing blog posts. Those are things that could make me money into the future. Useful post: how to start a money-making blog. Nope, it’s not as easy as doing online surveys. But it’s a lot more rewarding, (and exciting) than spending hours completing surveys. That aside, what are the Pros & Cons of Vindale Research? They have a referral program for extra credit – $5 per referral, (they need to actually complete a survey worth $1 or more!). A four star rating on Trustpilot. Payments for reading promotional emails. Quite a nice layout of the website. Some fairly high paying surveys. Getting regularly “thrown out” of surveys for not-qualifying. Too many profiling questions asked before you get accepted for every survey – can get annoying. 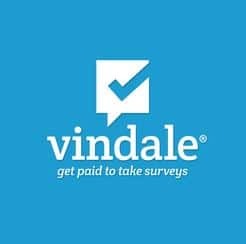 Nope – Vindale Reseach is not a scam – because as many complaints as there are, there are also many positive comments and plenty of people that have been paid without any issues at all – they also seem to have some higher paying surveys. Recently I have had tonnes of emails sent to me to come and do surveys as well. Also, at the time of writing, they pay $5 per referral – as long as your referral completes one survey which is worth at least $1. You won’t make much from the referral program, unless you have a big reach on social media, a blog, or a website – but it could help boost your earnings faster to that $50 payout. Despite the payout threshold, this site has a lot of surveys and I have seen more here for $2+ a time than many other sites. But this is only worth something if you can actually qualify for a survey and that is going to rely on many factors. Some people are going to qualify for many more surveys than others – depending on their demographic. If you want more of a substantial income online, (whether hundreds, or thousands of dollars a month). You won’t get there doing online surveys. Anyone who tells you that you can make that sort of money doing surveys, they aren’t being honest. If you’re going to spend hours and hours ploughing your time into something, make sure it counts. Check out my 40+ ways to make money online for some extra ideas to boost your income. Alternatively, check out the training here that led to my first $1000 online and beyond. I hope you found this review helpful, What do you think about survey sites? Leave me a comment below!